Infinity Dress™ South Africa is the proud manufacturer of Infinity Dresses in South Africa and World Wide. Delivery time is fast world wide and we also supply to main stockists and Boutiques in Africa, Europe, America, Middle East and Aisia. The Infinity Dress™ is designed to complement every figure making it the perfect Plus size Dresses, Maturnity Dresses, Extra length Dresses and Petite Dresses. The flared skirt and heavy weight fabric flows beautifully over your hips no matter how big or small your hips are giving you a smooth and slim look. (There is no better way to loose weight over night than to wear clothes that are slimming!) Infinity Dress SOuth Africa offers the sweetheart bandeau attached as an extra support around your bust making your new Infinity Dress bra friendly. The sweetheart bandeau around the bust is made with an extra inner layer of strong stretch support fabric that will grow with your figure if you are planning on loosing or gaining weight and will always fit you perfectly. This helps Brides order dresses for their Bridesmaids month in advance and knowing that if your Bridesmaids are loosing weight or are pregant and gaining weight it will grow with them and still fit them perfectly on your Wedding day. After all , the Wedding day is about the Bride and not your Bridesmaids so best to get their dresses done ans dusted as fast as possible! Infinity Dress™ Style Pattern: Our Stunning Original Infinity Dress™ has an option to have the sweetheart bandeau attached to your dress, making it bra friendly and a comfortable fit shaping your bust. FREE: Each Infinity Dress™ comes with a free silver diamanté plastic brooch for the “bling” styles that you can wrap your new Infinity Dress™ or Wrap Dress with. Plus size Infinity Dress™ or Wrap Dress: Our Beautiful Infinity Dresses and Wrap Dresses are perfect for Plus Size dresses as the full flared skirt and heavy weight fabric flows beautifully from under the bust to over the hips smoothening out all the humps and bumps. For the Plus Size you can style the straps around your empire line as you feel to create a slimming illusion. If you have a custom size feel free to send us an e-mail sales@infinitydress-southafrica.com or call us: 0215563407 . Yes the above dress is the perfect dress for Plus sizes. Petite size Infinity Dress™ or Wrap Dresses: What a perfect dress for the lucky petite ladies. The long straps allows you to shape and show off your tiny waist by wrapping the Infinity Dress™ straps all the way down to your hips. You can also wrap the straps across you bust to create an illusion of larger busts. Now that’s what I call a dream dress! Ohlalala! Maternity Infinity Dress™ or Wrap Dresses: Yes, you can ask me all about it! I am a mother of 2 gorgeous toddlers so I know all about this and I attended my best friends Wedding 8 months pregnant as the maid of honor. What a perfect day and evening it was to wear such a comfortable dress! 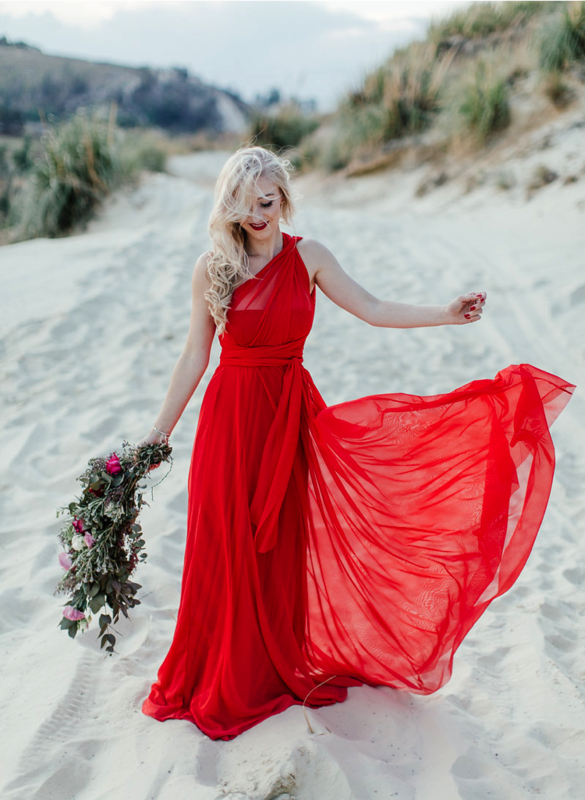 The beauty of this dress is the high quality fabric that has a lovely stretch and its magically quality to grow with you as you grow and shrink. The full flared skirt flows beautifully from under your bust over you hips complementing your pregnancy glow and making you feel like a super star! When you have had baby, you can still wear your Infinity Dress again and again and again. The only adjustment will be the length which is very easy to alter yourself or at a tailor. My absolutely favorite dress before, during pregnancy and after pregnancy! Best wishes for your little one! Fast Delivery times: Our delivery times are fast! If your order is urgent you can select the express option in the checkout. Your order of your Infinity Dresses or Wrap Dresses will then be delivered in 3 -5 days. Otherwise our standard delivery is 7 – 10 days within South Africa and 10 -14 days Internationally. 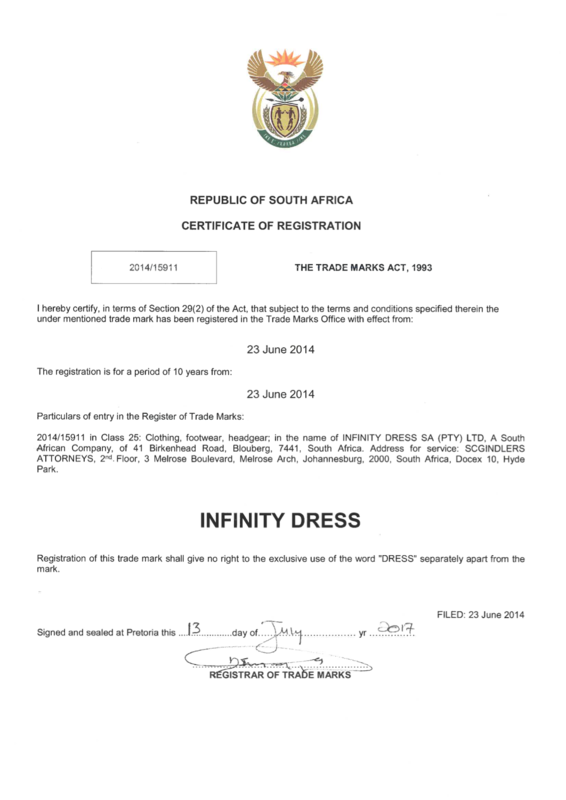 Payment methods: Infinity Dress™ South Africa is verified! We offer many payment methods from Credit Card , EFT and Mobicred (Pay it off!) . Description: One dress, 27 ways to wear it! Elegant mesh dress overlay with soft flowing mesh fabric. Sweetheart bandeau attached for the classic look. Suitable for every figure including Plus size, Maternity and Petit. Delivery Information: We manufacture in South Africa with special high quality imported fabric and deliver world wide! Local Delivery 7 - 1 0 working days days, International delivery 10 -14 days, Express delivery for URGENT order 3 -5 days world wide. Lengths available: Summer Knee length, Evening length, Tall length, Extra length. Please see size chart attached. Colours available: Mesh colour range. Please see website for updated colour chart. Special Discounts: Order 4 or more and qualify for online disocunt! If you are on a budget please contact us and we are always willing to assist. We look forward to styling you! Description: One dress, 27 ways to wear it! 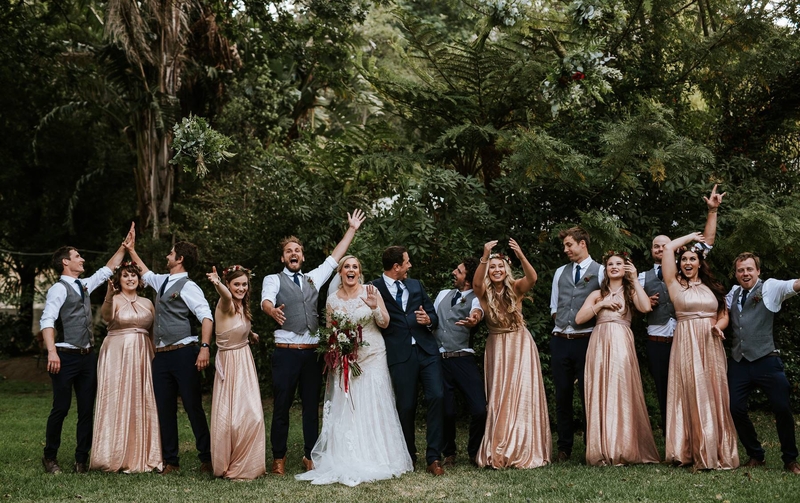 Metallic is the Hot Trend for Bridesmaids Dresses this year 2018 and 2019! The Shimmering Fabric highlights the Bride as when your Bridesmaids look good they Highlight the Bride in her beautiul Wedding dress! This is truley a Wedding Party that will always be rememebered! Delivery Information: We manufacture in South Africa with special high quality imported fabric and deliver world wide! Local Delivery 7 - 1 0 working days days, International delivery 10 -14 days, Express delivery for URGENT order 3 -5 days in South Africa and 5 -7 days world wide. Lengths available: Summer Knee length, Evening length, Tall length, Extra length. Colours available: Our Metallic Fabric has taken the world by storm, Colours are selling out fast! Please see product link below to see the remaining colours available. Description: One dress, 2 ways to wear it! If you have a winter Wedding or a Bridesmaids that instsist on covering her arms all the way then the Amber Rose is the perfect Choice! This beautiful Wrap dress can also be made with see through mesh sleeves if that is the look you want to go for. Made from a lovely stretch fabric so that you can move your arms as much as you want when the dancing begins! 4.) 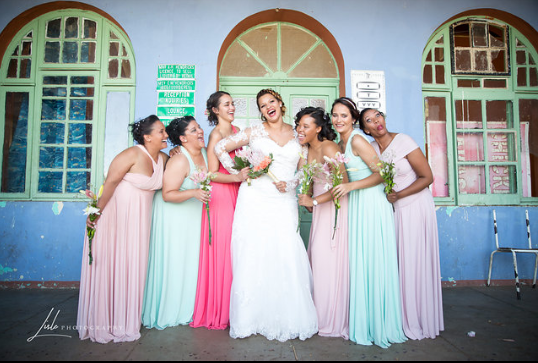 Original Infinity Dress: Ohlalala how lovely does this Bridal party look? Description: One dress, 27 ways to wear it! The Original Infinity Dress is made with heacy weight fabric and oh so much of it to create the lovely flow over the hips complementing every figure! See how much fabric is falling to the floor? This is the key to the original Infinity Dresses made with a flared skirt. Sweetheart bandeau attached for the bra friendly and classic look. Suitable for every figure including Plus size, Maternity and Petit.Choose your colour today! Delivery Information: We manufacture in South Africa with special high quality imported fabric and deliver world wide! Local Delivery 7 - 1 0 working days days, International delivery 10 -14 days, Express delivery for URGENT order 3 - 5 days in South Africa and 5 - 7 days world wide. Description: One dress, 27 ways to wear it! Gorgeous Shimmer Soft gentle Glitter Elegant mesh glitter dress. Sweetheart bandeau attached for the classic look. Suitable for every figure including Plus size, Maternity and Petit. Colours available: Glitter and Mesh colour range. Please see website for updated colour chart.